With this map you can be in a very beautiful village, which will be all for a carefree life. In addition to houses in the village are located a variety of fields, and the beds on which to grow a lot of food. Near field will be a windmill, you might also come in handy. 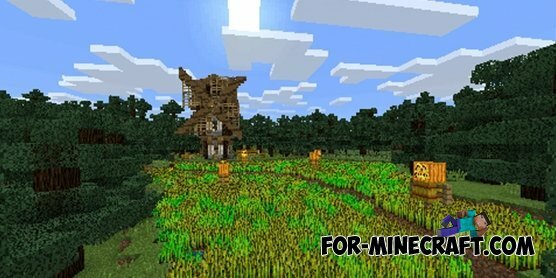 If you dream of his village, but do not want to spend a lot of time to build it, but now you can easily and quickly get their village.